One of the PRINCE2 methodology' principles is Manage by Exception. Tolerances are set at each appropriate level, for example project, stage, or work package levels. In PRINCE2, it is assumed that the people on the Project Board are senior individuals comprising of the performing organization, user community and the suppliers who have little time to spend on the day to day management of the project. The day to day management is the responsibility of the project manager. 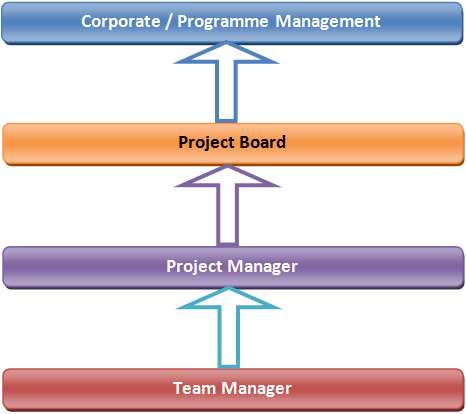 The Project Board therefore delegates day to day management for a stage to the project manager within agreed ‘tolerance’ levels for the objectives of time, cost, risk, quality, benefits and scope. The project manager should be confident that he/she can deliver the stage plan within these agreed tolerances then he/she can take corrective action to get things back on track if things are running late of going over budget. If however, the project manager cannot deliver the stage plan within these agreed stage tolerances then this is known as an ‘exception’ in PRINCE2 and this must be escalated to the next management level; Project Board for a decision. This therefore is a very efficient use of senior management time and means that the project Board are only involved in taking decisions as and when the need arises. It is important to note that they are of still involved in taking the key ‘Go/No go’ decisions at the end of each stage. The format of an exception report can be in the form of a document, an email, other form of electronic communication, or it may be given verbally. This describes the root cause of the deviation that led to this exception and deviation from the current plan. The reasons for the forecast deviation must be clearly stated and analyzed. The project manager will want to inspect the issue register and its impact analysis to help determine the cause. 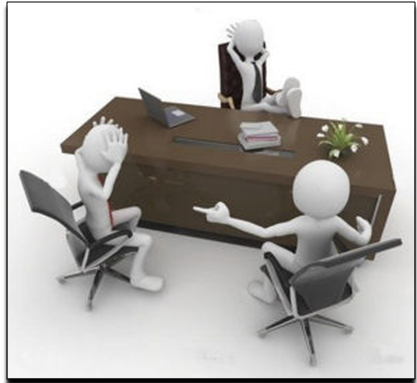 Also, the project manager should get advice for all appropriate stakeholders such as the specialist team, the team manager, and the individual or group who raised or caused the issue in the first place. The project manager will almost certainly want to involve the specialist team in helping to describe such impacts as well as to consider options for recovery or minimization. Other useful stakeholders could be the users, customers, or appropriate operational managers. This lays down the options that are available to resolve the deviation and for each option what the effect would be on the business case, risks and tolerances. Wherever possible, several options for recovery should be given as this will give the project board confidence that sufficient thought has gone into considering all possibilities. Each option must include the risks for such an option as this will assist in making a recommendation based on the project boards risk appetite (level of risk an or an organization is willing to accept or have already accepted). There is a temptation for the project manager to start creating detailed plans around some or all of the options, but this should be resisted as the project board may decide all different actions or consider options of their own. In such a case the effort involved in creating plans will have been wasted. If time is of the essence, the project manager may wish to advise the board verbally that an exception report is being created and advising them of the options currently being considered within the report. They may be able to shed some light on their favored approach or even instruct the project manager to plan a chosen option in more detail. This should capture any lessons that can be learned from this exception situation and consideration made whether such lessons can be applied for the remainder of this project and/or future projects. All such lessons should be added to the lessons log. If the project board request that an exception plan is created by the project manager to be reviewed at an exception assessment, then the end stage report will include such lessons. It is worth mentioning that the exception situation may have been caused by an external event that affects the project, indeed, it may be the project board that brought this to the attention of the project manager. Other sources of information other than those mentioned above are the quality register, the checkpoint reports, or highlight reports.